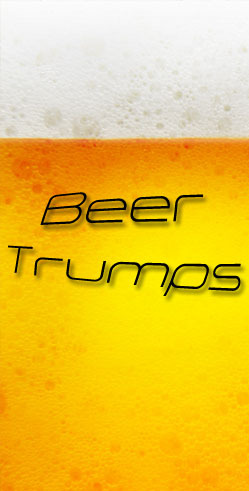 Beer Trumps? Being ex-brewery staff, we like our beer. And being essentially lazy we love reusing code and techniques. So this morning, before breakfast I whipped up the below. It’s a “Top Trumps” like game, where you guess which of it’s ratings is higher than the opposing cards ratings. We’ve taken the ratings from SIBA’s (Society for Independent Brewers (formerly the Small Independent Brewers Association for those trying to work out how you get the Acronym SIBA from Society for Independent Brewers)) Cyclops ratings for beer. We’ve just taken the Bitter, Sweetness and ABV ratings, and thrown them into this little game. We’re not judging any of the beers, apart from we’ve heard of all the breweries, and the beer was the first on their list of beers on Cyclops. Have you ever thought about including a little bit more than just your articles? I mean, what you say is important and everything. Nevertheless just imagine if you added some great images or videos to give your posts more, “pop”! Your content is excellent but with pics and videos, this website could certainly be one of the best in its field. Fantastic blog! I really like what you guys are usually up too. This kind of clever work and exposure! Keep up the excellent works guys I’ve incorporated you guys to my blogroll.